The events of 2016 lay the foundation for exciting opportunities in 2017. The world of life science investing kicks off each year in San Francisco as investors and life science innovators from around the world come together during the week of the JP Morgan Healthcare Conference to make connections, share ideas and milestones, and form the relationships that often lead to future investments in companies that are creating life-saving and life-changing innovations. JPM#2016 kicked things off for the new year with a new series of deals, predictions, and discussions on the future of an industry that drives our economy and improves our lives. That same week, in Washington, D.C., the President announced in the State of the Union Address a commitment to new Cancer Moonshot to be lead by Vice President Joe Biden. “For the loved ones we’ve all lost, for the families that we can still save, let’s make America the country that cures cancer once and for all.” –President Barack Obama – 2016 State of the Union Address. Following JPM 2016, life science innovators got back to work, focusing on bringing new treatments to market. The FDA announced over 70 new drug approvals in 2016 according to Center Watch. 501K and PMA approvals continued to rise for innovative medical devices through the year.2016 marked of one of the most unique U.S. election cycles the world has ever seen. Everyone knew that a new President and administration would be coming in 2017,but who would it be? The election results took many by surprise but after an initial “shock response” (the markets HATE surprises) the DOW has gained almost 2000 points since Election Day 2016. 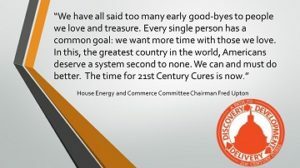 Now law, 21st Century Cures brings new funding for research of brain diseases and cancer, support for the continuation of the Precision Medicine Initiative, expedited pathways for break through medical devices, and more. Closer to home, Arizona Bioscience Week brought together life science leaders, investors, and innovators to learn about the latest in health technologies and begin new discussions on how best to bring these technologies to markets so that they positively impact the people that matter most – Patients. Now, as we close out 2016, we look forward to a new year of opportunities in 2017. The foundation has been laid and it is time to start building once again. 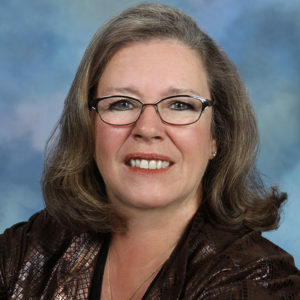 Joan Koerber-Walker, currently serves as president & CEO of the Arizona Bioindustry Association, Inc. (AZBio) and as Managing Member of White Hat Health Ventures LLC.